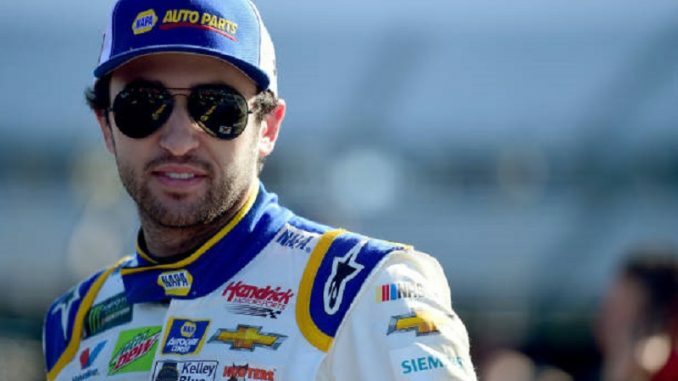 Chase Elliott may have been disappointed with a runner-up finish in the season’s short track opener at Martinsville Speedway on Sunday because he obviously wanted to win and for much of the race, felt capable of it. Regardless, his showing was actually a boost of confidence for his Hendrick Motorsports team and may be a timely harbinger of good finishes to come for the sport’s reigning Most Popular Driver. Even if it was hard to reconcile the competitive near-miss, Elliott was able to seize on the progress. It’s hard to believe, but Elliott’s finish at Martinsville was the first top-five for the championship winning four-car Hendrick Motorsports organization since the 23-year old won at Kansas last Fall – his third career victory and third of 2018. His 49 laps led Sunday at Martinsville are the first laps out front for him this year and were second only to a dominant Brad Keselowski, whose 446 laps led marks the most ever in a race since Kyle Petty led 484 laps in a 1992 win at Rockingham Speedway. “It’s really tough. Our NAPA Camaro was good, I felt we were about as even with him as we could be,” Elliott said on pit road following the race. “I felt like when he did get the lead, there was a little advantage to being out front, being able to work traffic your way and kind of play off it and what not. “I tried to move up there at the end and I don’t know if I could have got to him. Maybe if I moved up a little sooner, maybe. But I tried to get him there in [Turn] 3. Until that next time Elliott can find some solace in that first, best run of 2019. The runner-up finish was good enough to move Elliott into the championship top-10 for the first time this season – all positive vibes heading to Texas Motor Speedway for Sunday’s O’Reilly Auto Parts 500 (at 3 p.m. ET on FOX, PRN, SiriusXM NASCAR Radio). The 1.5-mile Fort Worth high banks have been good to Elliott. 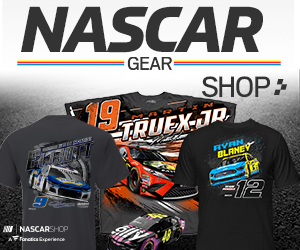 He scored his very first NASCAR national series victory at Texas back in 2014 – a convincing win in the Xfinity Series and an exclamation point toward what would be his first NASCAR championship. In fact, Elliott has five top-10 finishes in six Xfinity Series races at Texas and five top-10 finishes in six Monster Energy NASCAR Cup races there. His only non top-10 in a Cup race? An 11th-place finish in this race last year. His average finish in the Monster Energy Series at Texas is an impressive 7.2 average – his best work on any track on the circuit that’s hosted more than one race. And it’s an especially good sign, considering Elliott’s qualifying efforts there (a 19.7 average). And at the very least, his work in the No. 9 Hendrick Motorsports Chevrolet Camaro ZL1 at Martinsville this weekend should provide some momentum. It marked the first time Elliott has led a race since Phoenix (16 laps) of last year. He’s led laps in only two of the last 10 races dating back to the 2018 season. Certainly the one driver who bettered Elliott on Sunday took note. “You know, I think the stats maybe look a little bit more dominant than I think it really was,” Keselowski said. “I thought Chase was probably the best car most of the day today and he passed me there with 150 or so to go. I thought that might be the end of our day, but I was able to learn a few things from him and kind of dissect his strengths and weaknesses and make some adjustments of our own and come back out and be a little bit better for it. All positive signs for Elliott, who heads to a venue where he is statistically strong and fortified with a positive history.